Thanks to @BroadAnalysis for emailing me about the compromised site. Looks like Rig EK changed its URL patterns since yesterday. 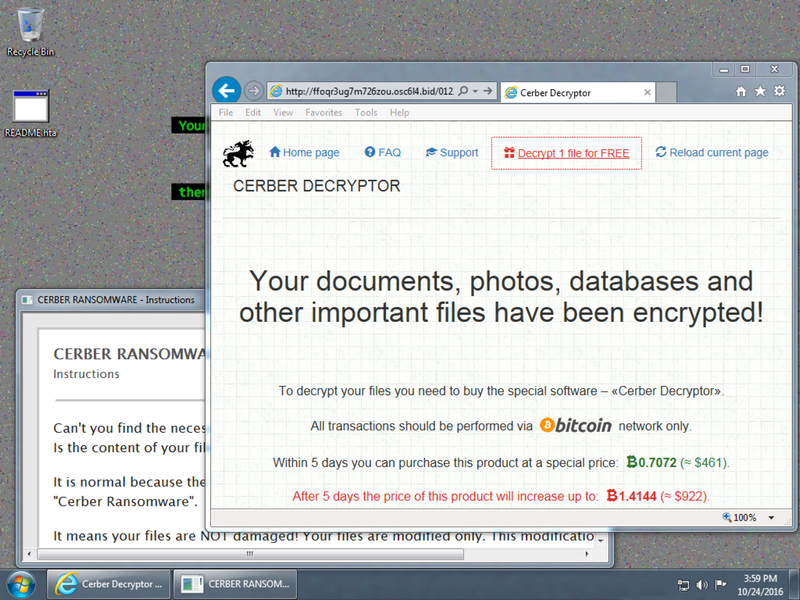 Shown above: Desktop of the infected Windows host after rebooting and checking one of the Cerber Decryptor URLs.